aesthetic appeal and potential to support a diversity of plant life. Various techniques have been developed to infiltrate roof runoff. 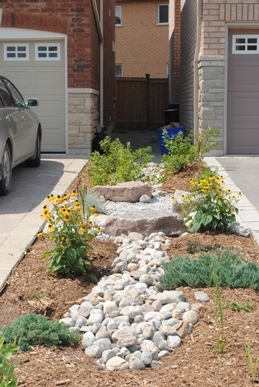 These include rain gardens, soakaways, drainage to landscaped areas with suitable topsoil depth and quality (i.e. downspout disconnection) and perforated pipe systems.